Lush Dream Cream - This ins't technically finished but I'm pretty sure it's gone off so am throwing it away but thought I'd share my views on it anyway. This is my second tub of it and while I do really like it for some reason it isn't working as well on my eczema as it did when I first bought it. I don't think I'll be buying another tub for a while as it quite expensive especially if you don't finish it in time like I've done with this one. Anatomicals Grapefruit Body Scrub* - When I saw this in Octobers Glossybox I was really looking forward to trying it as I love grapefruit scented products. When I tried it though the scent is horrible, it hardly smells like grapefruit and instead smells like toilet cleaner. I have finished it but certainly wouldn't think of ever buying the full size. NSPA Jojoba & White Vanilla Foaming Bath Milk - Onto a better scented product now! I absolutely love this range from NSPA and have probably tried every single product now as they all have the same scent. Foaming Bath Milk is a fancier word for bubble bath but it is great and the bubbles last for a good amount of time. Definitely going to buy another bottle once I've used a few others I have. 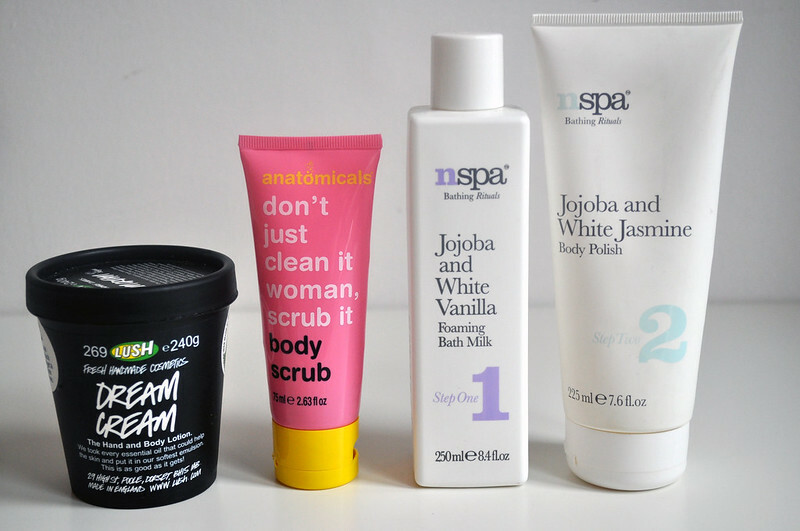 NSPA Jojoba & Jasmine Body Scrub - Another NSPA product and probably my favourite out of the whole range. I've been through several tubes of this as it's perfect for my sensitive skin. It's a very gentle every day scrub and will be buying another tube once I've used some other things up. Etat Pur Micellar Cleansing Water* - I loved this micellar water and if I didn't already have a giant bottle of Bioderma then I'd buy another one of these. It takes off eye make-up so easily and doesn't irritate my sensitive eyes. 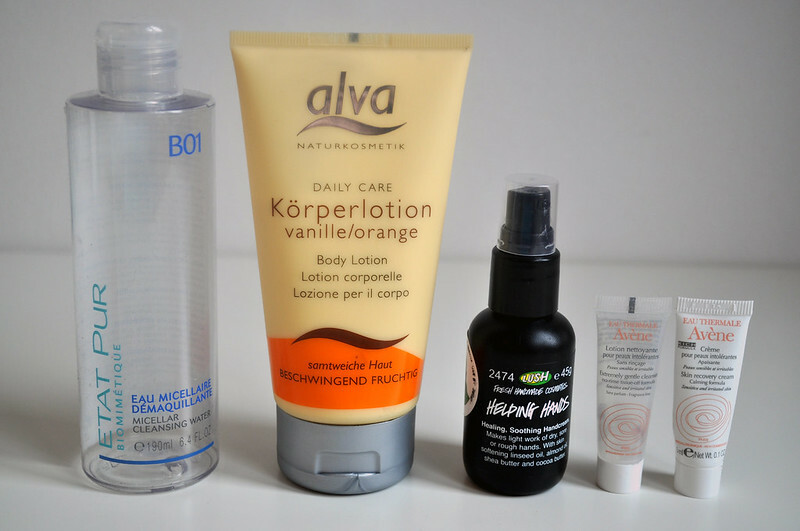 Alva Body Lotion* - I've had this for such a long time and am glad to have finally finished it up. It's a bog standard moisturiser that was nice to use but I wouldn't rush out to buy it again. Lush Helping Hands Hand Cream - This is another one that I haven't finished but has expired which seems to happen with a lot of Lush products. This was nice although I could never get used to the scent which is perhaps why I never finished it. I wouldn't buy another bottle but I did like the pump dispenser. Avene Extremely Gentle Cleanser & Skin Recovery Cream - I'm not going to say too much about these as I'm going to be writing a proper post about them. I will say that from using these tiny samples I've gone out and bought the full sizes. 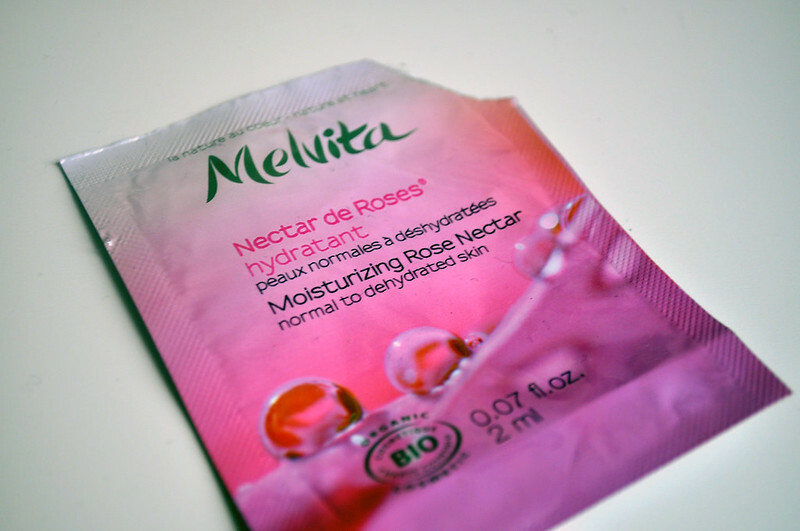 Melvita Moisturising Rose Nectar - This is another one that I've loved even though I've only tried a tiny sample. Will be buying the full size of this at some point! I really liked the Etat Pur Micellar Cleansing Water- I keep forgetting to repurchase it. It worked really well to remove my makeup & its a bargain too.